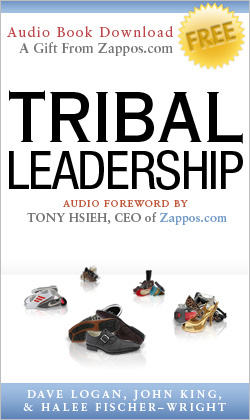 Zappos.com has partnered with the authors of Tribal Leadership to bring you the audio version of the book for free! We've included a special audio foreword featuring Tony Hsieh, CEO of Zappos.com, having a conversation with Dave Logan, co-author of Tribal Leadership. We hope you enjoy the audio book!